NOT-SO-QUOTABLE WATERMELON: THEY CAN’T ALL BE GREAT! - What About Watermelon? You are here: Home / General / NOT-SO-QUOTABLE WATERMELON: THEY CAN’T ALL BE GREAT! 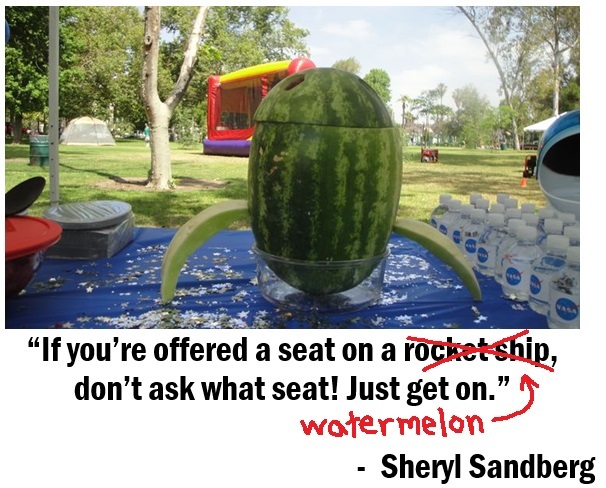 NOT-SO-QUOTABLE WATERMELON: THEY CAN’T ALL BE GREAT! 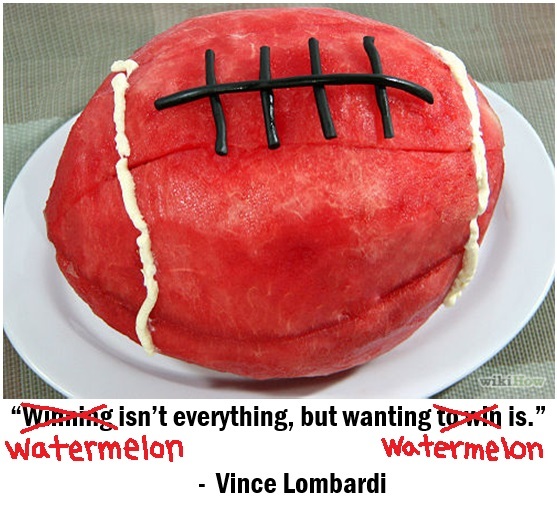 You know how sometimes I’ll take a historic quote and swap out one of the words and replace it with watermelon? It’s a topic I like to call “Quotable Watermelon,” and I try to do it at least once every other month. 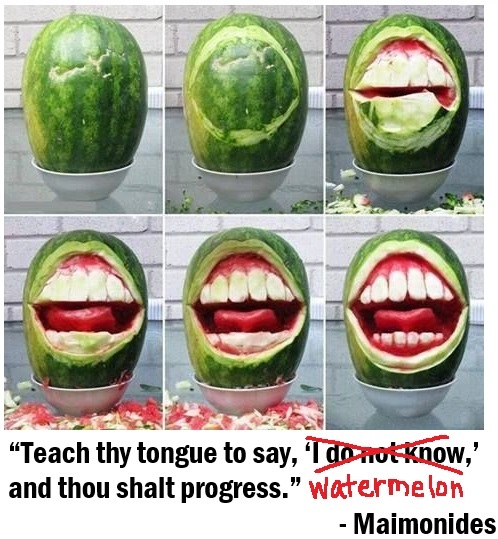 Normally, I choose quotes that have the same meaning when you add the word “watermelon” to them, or at least have a different but still inspiration meaning. For example, in June, I discussed the humorous line “A balanced diet is chocolate in both hands.” I replaced “chocolate” with “watermelon” and the quote was still entertaining, plus it doubled as a testament to the fact that watermelon really is a key part of a balanced diet. But it doesn’t always work that way. Sometimes, adding “watermelon” just makes them silly and deviates entirely from the original intended meaning of the quote. The following are a few examples. Vince Lombardi was a great football coach who got his players fired up with some passionate speeches, but I’m pretty sure this line wouldn’t have won him many games. It might have made his players hungry for a nutritious snack, though, so that’s kind of a win. This one is tricky. I mean, if were offered a seat on a giant watermelon, I’d probably jump right on. Same thing with a rocket ship…but I’d pack an extra set of clothes, because I might be gone a little longer. Now that I think about it, this quote isn’t all that silly. My parents taught me to say “watermelon” when I was two years old and, despite what my high school guidance counselor might tell you, I like to think that I’ve progressed rather nicely. UP NEXT: What happens if you microwave a watermelon? HOW DO YOU FEEL ABOUT THIS NAKED WATERMELON?